Participants of the Quran recital posing for a group photo at Darul Syakirin Mosque, Kampung Muhibbah, Sri Aman. 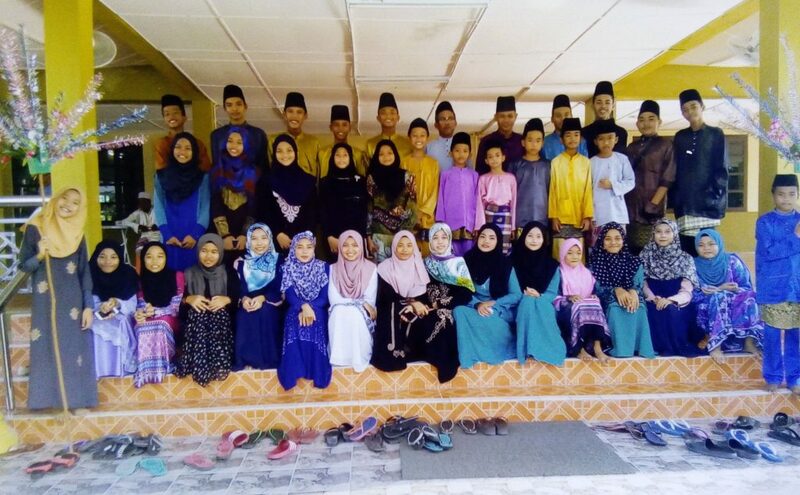 SRI AMAN: Residents of Kampung Muhibbah here held a Quran recital session at Darul Syakirin Mosque in the village. The event which is held every night during the fasting month of Ramadan saw the involvement of 55 participants. “The event with comprise the youths, women and the elderly of the village is held immediately after the taraweh prayers,” said a spokesman, Ramli Abu Sera. Ramli added that the organiser of the Quran recital receive good response from the villagers to the event. “The participants will take turns to recite the Quran with the better reciters guiding the weaker ones. It is hoped that the villagers will become better Muslims,” he said. Earlier, chairman of the mosque committee, Datuk Dr Haji Wahbi Junaidi presented certificates to the participants. Also present were chairman of the mosque committee, Haji Hamdan Sujang, Imam I, Haji Wan Masra Tunku Udin and ‘tadarus’ teachers Haji Kipili Haji Serot and Hamali Haji Jol. Quran recital attracts 55 participants 0 out of 5 based on 0 ratings. 0 user reviews.